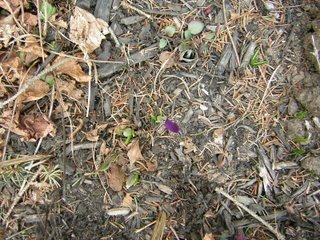 Right outside my house, quite a bit ahead of schedule (you may need to look closely): a crocus starting to bloom. Wow, that is early for New England. 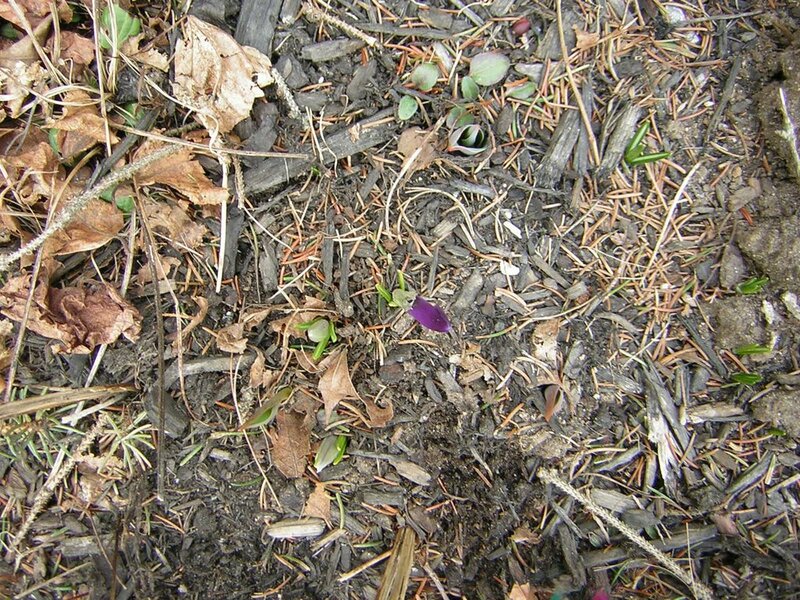 Here at 40 degrees north latitude and at 4200 feet (Zone 6), I've had Blue Pearl crocuses for about a month. But they are notoriously early bloomers. 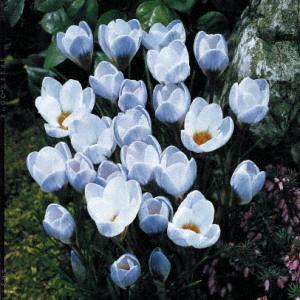 I like your crocuses. Would you like to see a picture of my radishes and spinach? In any case, I'll tell you what else I really, really find impressive, and that's your Sept. 15 post presenting at some length the Atlantic Monthly article by Martha Gellhorn. So get a load of this from like, Strictly Small Worlds-ville . . . I too had been doing some work in which I cite one of her articles (from the July of '56 New Republic) anthologized in a very fine resource, Under Fire: Israel's 20 Year Fight for Survival by Donald Robinson, and during course of some hot and heavy Yahooing (I am usually much too repressed to Google) finally I came stumbling out from all the thorny, dry tangle of cyber-brush into the unexpectedly refreshing oasis of your blog, your citations, your pretty green apple and--who knew!? It's always really swell to run into a kindred spirit, and it's good to see that ever since September you're still hanging, most intrepidly, in there. P.S. 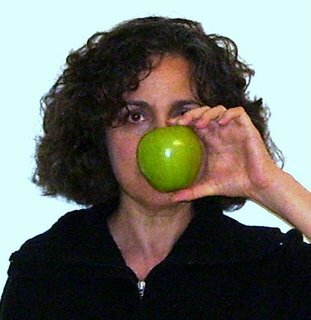 As to that darling photographic quotation of René Magritte--would your first name by any chance happen to be "Eve"? Justitia's blog has some of the best photos I have ever seen. Then again, I don't study photography, so my experience is limited to the promotions on Instapundit. Thanks, Mackie. Take your time and look around. I found blogs in general that way--through Googling something or other, and finding myself at a blog and with a kindred spirit. I've never looked back :-). Damn deer ate my crocuses. Ah, but Bush lied! Lied, I tell you!